Storytelling is the best medium of engaging and educating the emotions of the children. They talk about our culture and the moral values. 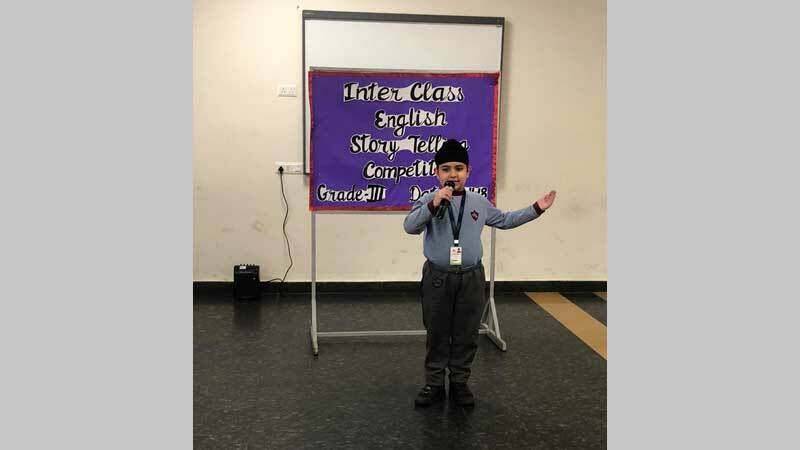 Providing a platform to nurture the quality of public speaking and to be expressive was the motto of MRIS-Sector14, Faridabad, in organizing an Inter Class English Story Telling Competition for the students of Grade 3. The students excitedly participated in the competition and narrated moral based stories. 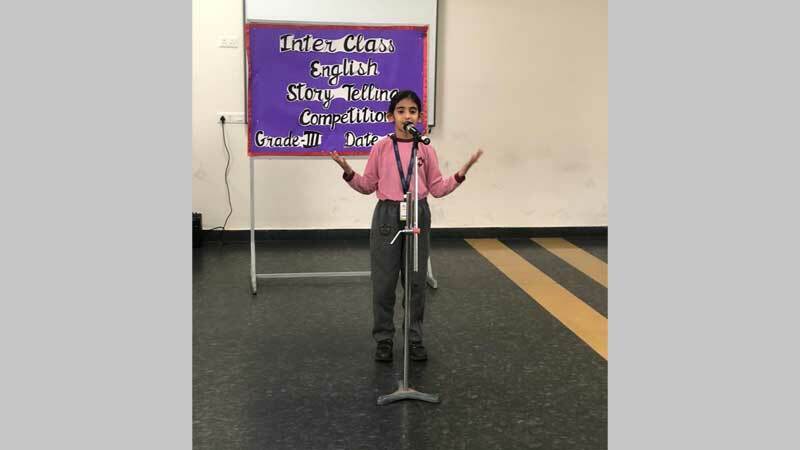 These young storytellers made effective use of facial expressions, gestures and voice modulation to make their stories expressive and interesting. Each story concluded with a moral highlighting different values of life. The students as listeners enjoyed listening to wonderful stories told by their peers and got completely engrossed in it. These stories worked as a medium to ingrain values.